My Paper Crafting.com: Day 17: Angels We Have Heard on High! Day 17: Angels We Have Heard on High! Welcome to Day 17 of the 25 Days of Christmas Crafting Showcase! Today our Designers are sharing with you some heavenly projects! "Angels We Have Heard On High" is one of my favorite hymns -- every time I hear it I am reminded of this Bible passage from the second chapter of Luke, verses 8 - 14.
and Storybook cartridges. 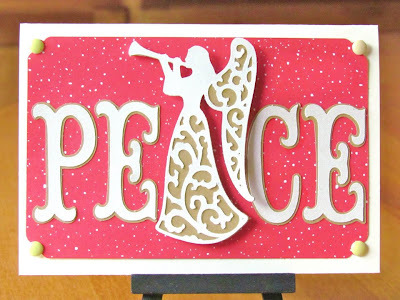 (Don't you love how she swapped the "A"
out for this gorgeous angel!) Visit her blog for more details. 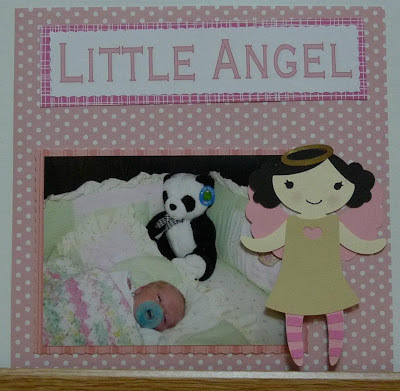 Cricut Lite Inspired Heart cartridge to create her sweet angel card. 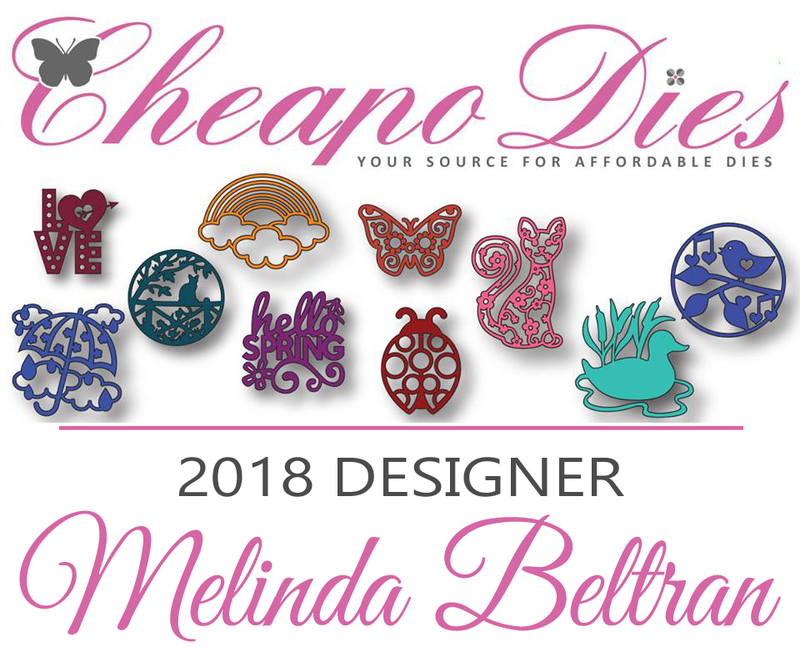 Please visit her blog for all the details! Cricut Winter Frolic cartridge. Check out all the details on her blog. precious 8" x 8" scrapbook layout. Visit her blog for more details. 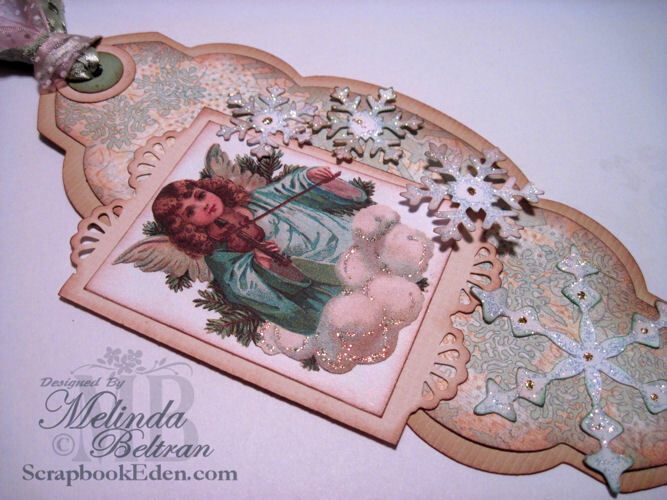 Melin designed this card using a PCW digital stamp and some pretty flowers and her EK punch. 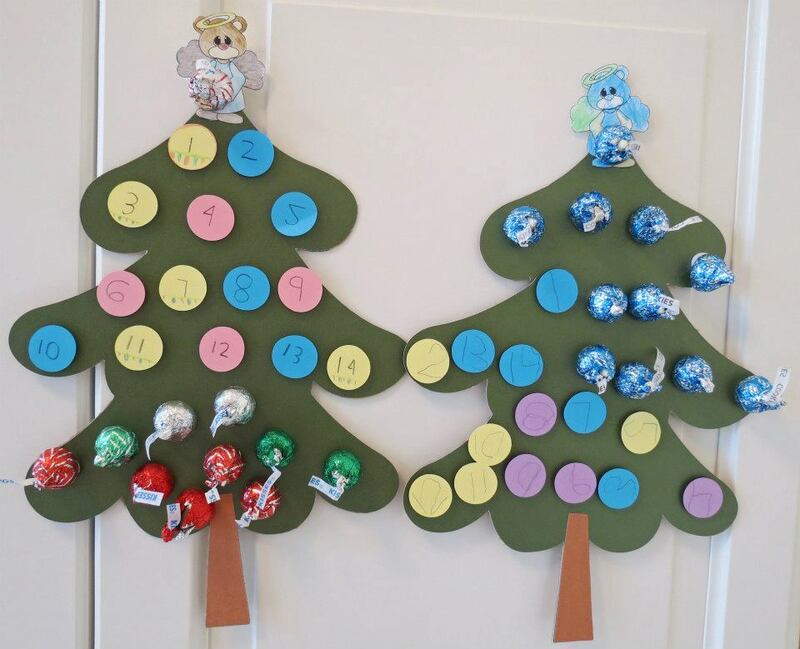 This is a picture of a project Melin and her daughter Rebecca did for school this fall. 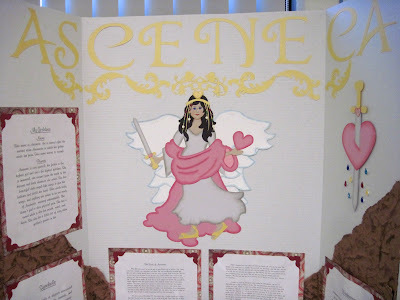 It was of a "fictitious" angel that Rebecca had to create. Her name was Asceneca and she was an angel that guarded broken hearts. She would cry when someone had a broken heart and her tears would fall to the earth as precious stones for the broken hearted to have. This would be a special treasure for them and they were priceless stones...Ascenecyte stones. 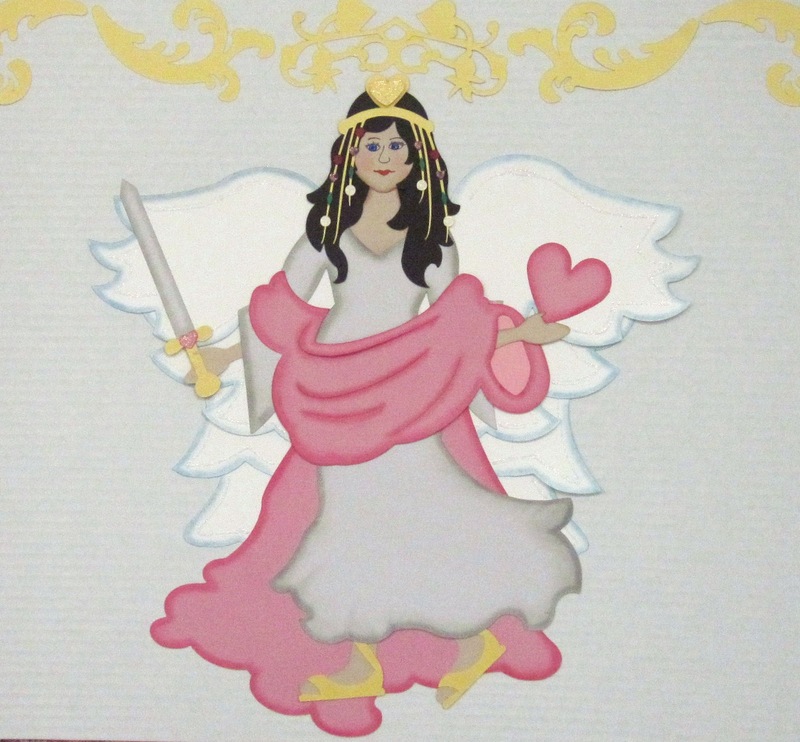 Here is a close up of Asceneca the "Angel"
Melin created this tag for last years 25 days. I thought it was worth another look. It was the first time I had participated in a swap and was so excited to create these for about a dozen other "swappers". 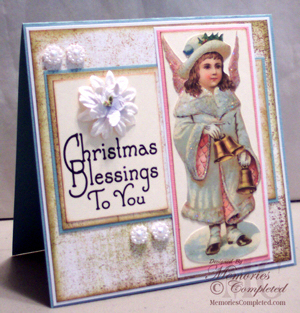 Below are some cards Melin created using some more vintage angel images. 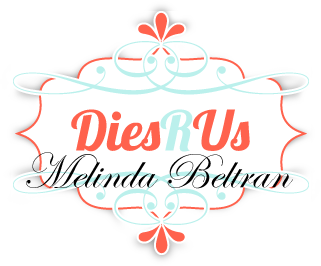 LAST DAY FOR THIS WEEK'S GIVEAWAYS! Once again, thank you so much for stopping by and participating with us. Be sure to leave a comment and be a follower so you are eligible for all our great prizes! Asceneca is beautiful! I love the story, too! 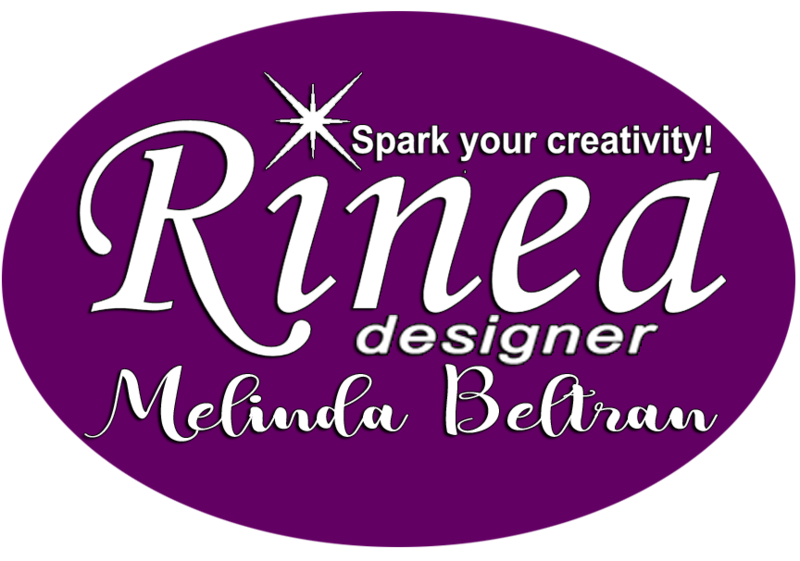 Melin, I loved your tag last year, and I'm happy to see it reappear! 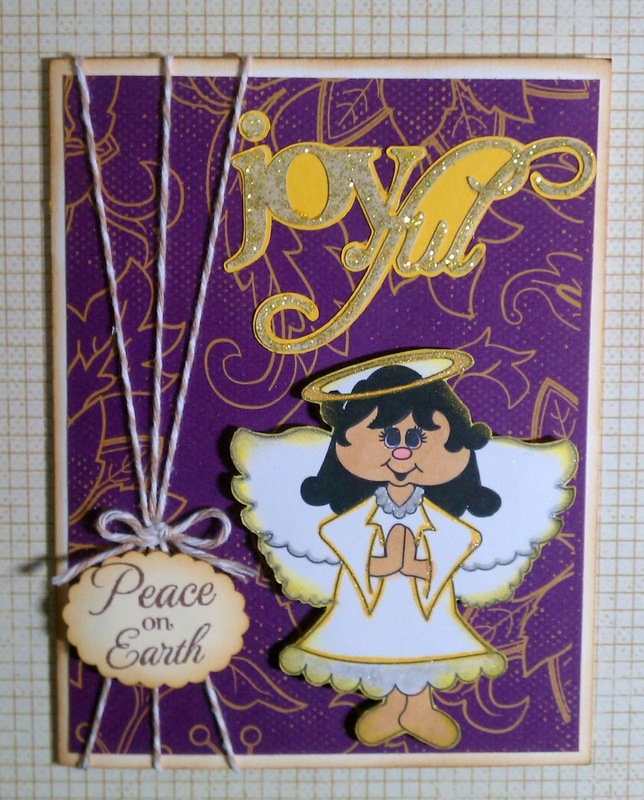 Loved Holly's Angel Card, too. Thank you for the freebies, today. Thanks for these beautiful angels--love all the angel projects! 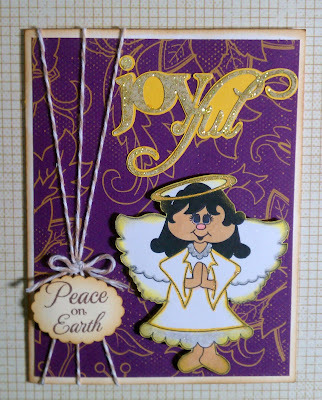 Joyful Angel creations by all. love the angels :D and i love the cutting file today thanks so much!! Lovely Angels! 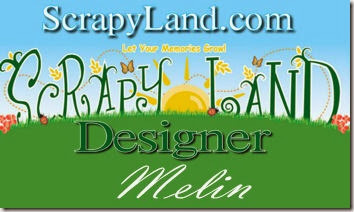 Melin, love the tag! Thanks for the freeies and chance to win a great prize! I am going to totally steal Holly's card. It is beautiful yet simple and I have both those cartridges! TFS! 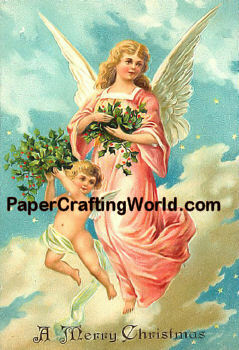 All of the angel cards today are beautiful!. Have a Merry Christmas, all. What great talent. thanks for another chance at all the cool giveaways. beautiful Angels. 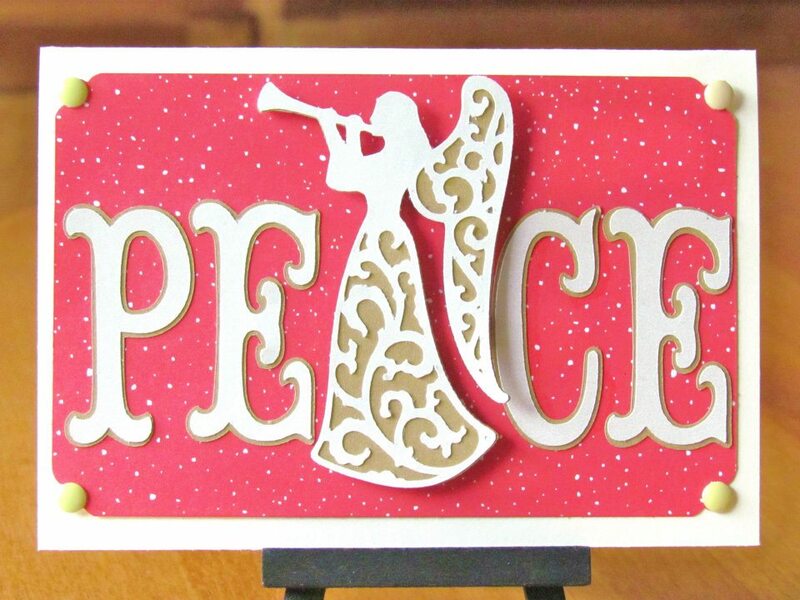 Love the Peace with Christmas Solutions angel. That's my fav! 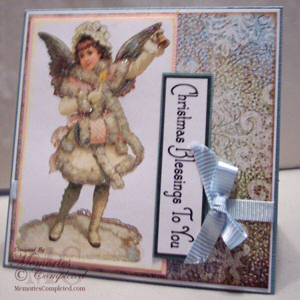 Love all the beautiful angel creations! 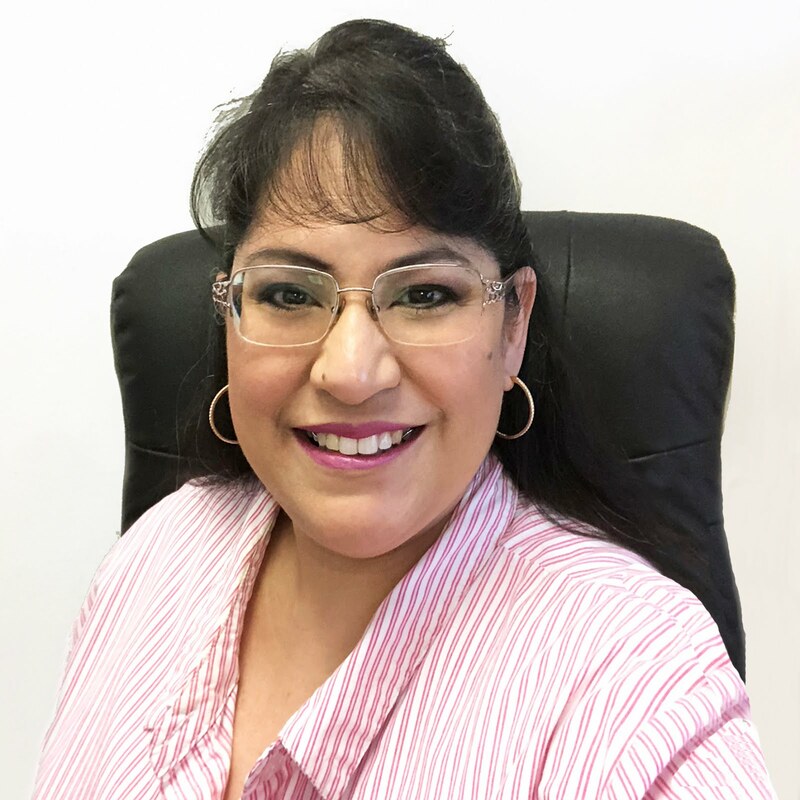 Thank you for sharing and for the freebies! Love the projects! Thanks for sharing, the freebies and a chance to win. The angel projects are so beautiful. Oh wow wow wow, what gorgeous projects. 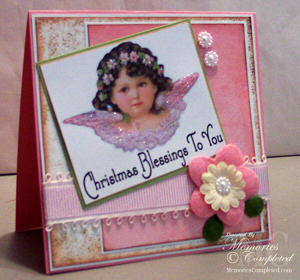 And thank you so very much for the angel freebie, she is beyond gorgeous! Thanks again so much for the freebies. Love all the Angels. Love all of these angels. 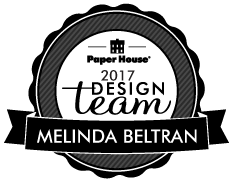 Fantastic job to all of the DT that participated on Day 17. Thank you or the opportunity of winning one of the great prizes and freebies! All of these beautiful projects are just so lovely. There is so much inspiration. The projects today are outstanding. Thanks for sharing. Thank you for the freebies. Thank you so much for sharing. Love these angels. 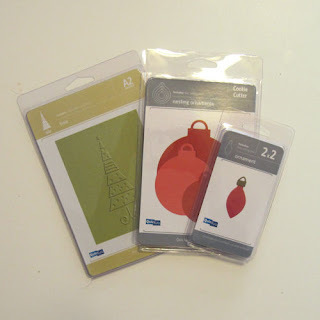 Your Project all inspire Christmas!! Thanks You so much!! Thanks for sharing. That is so nice of you. The cards are beautiful! Thanks for sharing the lovely files. Beautiful angel projects. Thanks for sharing the fun files! 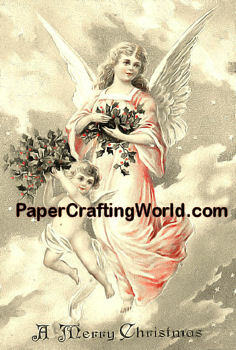 I just love angels and all of the different looks angels have to each one of us! These are no exception! Thank you!